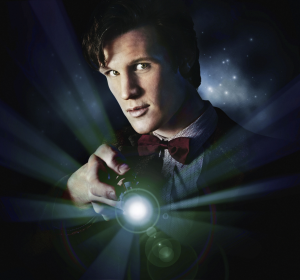 The first episode of the sixth series of Doctor Who drew about 6.4 million viewers in the UK. From BBC News. Doctor Who also gets three episodes nominated in one category at this years Hugo Awards. From SFX. Matt Smith talks about the series openers big surprise. From Entertainment Weekly. Steven Moffat talks Doctor Who, and how Martin Freeman refused to take a role in The Hobbit until they guaranteed he could return to the UK to film Sherlock. From Entertainment Weekly. Hugh Laurie talks to the BBC about House, and his new blues album. Julian Fellows, creative mind behind Downton Abbey, talks about his Titanic mini series, set to air around the 100th anniversary of the tragic loss in April of 2012. From The Guardian.